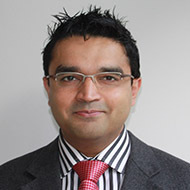 Rej Bhumbra  is a Consultant Trauma and Orthopaedic Surgeon at the Department of Orthopaedics, Barts Health, based at The Royal London in Whitechapel, and the Barts Health Orthopaedic Centre in Newham. He grew up in Buckhurst Hill and was a pupil at Bancroft’s between 1985 and 1990. He went to St Mary’s Hospital Medical School (now Imperial College) and has published widely on subjects ranging from Global Health to Orthopaedic Trauma. He has completed orthopaedic surgical training in South Africa, London, Toronto, Birmingham and Mumbai as well as working at the British Medical Journal. He was admitted to the Livery of the Drapers’ Company in 2013 and appointed as a Governor to the School in 2015. He is married to a Consultant Radiologist, and has two children. He tries his best to play golf, the drums and cycles whenever and wherever possible. Richard is a Chartered Building Surveyor and has run his own practice since 1988, with offices locally and in Central London. 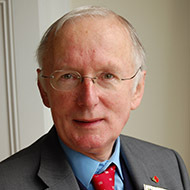 He was granted the Freedom of the City of London in 1985 after being involved in some significant projects whilst working for the Corporation of London and continues to be very much involved in the City. Having been admitted into the Drapers’ Company, he was appointed as a Governor to the School in 2018 and is a member of the Estates Committee. Richard attended Bancroft’s between 1972-1979. He is married to Susan and they have two children. They live in Woodford Green. He enjoys sport, music, art and messing around with old cars. James was educated at Radley College and the University of Durham, where he gained a BA (Hons) in Latin. After twenty years within the Investment Banking industry, James has spent the past five years building and running his own regulated investment advice businesses, both in Hong Kong and, now, in the UK. Having spent most of his career advising Pension Funds on their equities asset allocation, James is now particularly enjoying helping start-up and early stage companies develop innovative financing models, at various points along their strategic pathway. 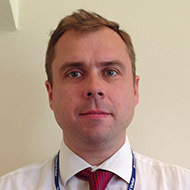 James is a Fellow of the Chartered Institute of Securities and Investment. James is married, to Alice, and they have three prep school age sons. His interests include hill walking, particularly on the Welsh borders where he grew up; crime fiction in translation; and the counter-cyclical fortunes of Hereford Football Club and the Sydney Swans AFL teams. He has just resumed his cricket career after a twenty-eight year break, during which he has not improved. Richard was awarded a scholarship to Westminster, before reading Physics at Oxford University BA (Hons), MA (Oxon). Richard has over 20 years advisory and consulting experience, working in the City for Barclays, Credit Suisse and Cazenove, as well as working in advisory at big 4 financial services firms, KPMG and PWC, in both the UK and Middle East. Richard has built experience across a range of sectors, but with specific specialisms in the games industry and crowdfunding. Throughout his career he has been involved in advising small and medium enterprises (SMEs) and early-stage businesses, both public and private. 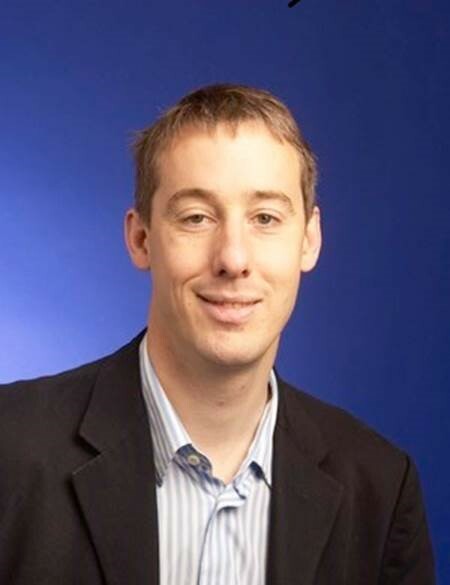 Of late, having returned from the Middle East in 2013, Richard has explored the more cutting edge areas of finance, working for a hedge fund, as Strategy Director for a crowdfunding company and most recently as Head of Consulting for Edison Group, a leading independent provider of equity research and investment intelligence. Richard has a degree in Physics from Oxford University and lives in Kent with his wife and two children. He enjoys sports of all kinds as well as adventure and travelling, ever since working for the Foreign Office in the Falkland Islands and the British Antarctic Territories in his gap year. At Post-16, Lizzie Wingham studied Theatre at the BRIT School for Performing Arts and went on to complete her BA in Theatre Studies at University of Surrey. Lizzie graduated with her Masters degree in Broadcast and Film Management from Bournemouth University. Lizzie is an experienced creative television producer and has recently been appointed as Deputy Editor for BBC Three. Overseeing a team in development and production, focused on programming for 16-34 year olds, BBC Three’s weekly reach across Facebook alone is averaging at 54m people globally a week. This keeps Lizzie up to date with the latest trends, issues amongst a younger demographic and most importantly all the necessary jargon that accompanies it. She has a track record in working with both established and new presenting talent and has spent her career specializing in developing and launching first time factual television series such as Married at First Sight (C4), George Clarke’s Amazing Spaces (C4) and Wainwright Walks (BBC2). Both her father and grandfather attended Bancroft’s. In the unlikely event of some spare time, Lizzie enjoys running, fell walking, reading fiction and acting as a mentor for projects in the both the media and educational sectors. As Governor of Bancroft’s School, Lizzie is a member of the Education Committee. Professor Peter Kopelman was appointed as Vice Chancellor of the University of London in 2018. Professor Peter Kopelman is an emeritus professor of medicine. He was previously Principal of St George’s, University of London and honorary Consultant, St George’s University Hospitals NHS Foundation Trust (2008-15). Peter was born and has lived in the London-Essex area for most of his life. He was educated at St Aubyn’s School Woodford Green and Felsted School in Essex. He trained as a doctor at St George’s Hospital Medical School, London. 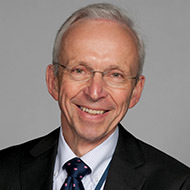 Peter has been Vice-Principal, Queen Mary, University of London and Deputy Warden of Barts & The London Medical and Dental School (2001-6) and Dean of the Faculty of Health, University of East Anglia (2006-8) prior to his appointment at St George’s in 2008. 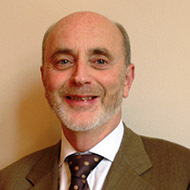 Peter has been chair or deputy chair of a number of national university committees which include University UK’s health education research policy group, UK Health Education Advisory Committee, University and Colleges Employer Association Clinical Academic Staff Advisory Group, London Medicine and London Higher. He was formerly a Trustee of the University of London. 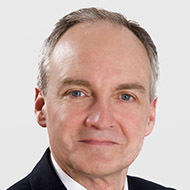 He is a member of NHS national policy and workforce committees, and has chaired the Clinical Examining Board of the Royal Colleges of Physicians (UK) and the NHIR Academic Careers Panel. He is chair of the Royal Pharmaceutical Society Faculty Board. He has a long-standing interest in diabetes care, nutrition and obesity with a major research interest in obesity. He was a member of the UK Department of Health and Food Standards Agency Scientific Advisory Committee on Nutrition (2001-10), DH Expert Panel on Obesity (2008-10) and was Science Advisor to the Office of Science and Innovations Foresight Obesity Project (2005-9).He has chaired a number of Working Parties on obesity and nutrition for the Royal College of Physicians of London. He is past President of European Association for the Study of Obesity. Bernadette Conroy is an Old Bancroftian, having left Bancroft's in 1984. Bernadette went on to read Mathematics at Gonville and Caius College, Cambridge and then studied at INSEAD in France where she gained an MBA. Bernadette now holds a number of non-executive roles. She is Chair of Poplar Harca, a housing and community regeneration organisation which manages approximately 10,000 homes in East London. She has also been a non-executive within the NHS for the last eight years and is currently a Vice Chair and Chair of Audit for Barnet NHS Clinical Commissioning Group, a non executive Director of Community Health Partnerships, a Department of Health organisation, and a non-executive director of North London Estates Partnership, a private public partnership that develops and manages property within the healthcare sector. 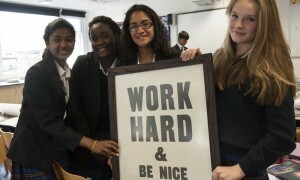 Bernadette is also a Trustee of St. Paul’s Way Trust School in Tower Hamlets. 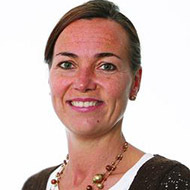 Prior to her current roles, Bernadette was Global Head of Strategy and Planning at HSBC’s Corporate and Investment Bank and has significant experience of financial and corporate re-structuring and change management having also worked at Morgan Stanley and in Booz Allen and Hamilton’s Financial Services practice. She is married and has two children. Ed is a solicitor and partner at Mayer Brown International. He attended Bancroft’s between 1970 and 1977 before going on to study law at Trinity Hall, Cambridge. He is married to Gillian and lives in Loughton, Essex. 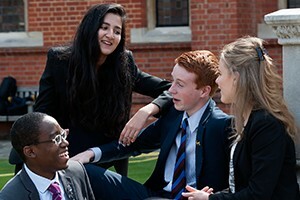 They have two daughters, the younger of whom, Caroline, attended Bancroft’s Sixth Form (2010-2012). Ed became a Co-Opted Governor of Bancroft’s School in 2013. He is also Chair of Governors of Queenswood School, a day/boarding girls’ school in Hertfordshire. As a Governor of Bancroft’s School, Ed is a member of the Finance Committee. 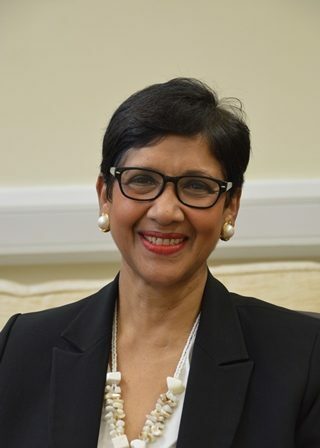 Saida was born in Mauritius, and has spent most of her life in Colchester and, latterly, in Ilford. After obtaining her Diploma in Languages, and spending a few years working in the administration sector, she pursued further education and obtained a degree in Law and the final of the Law Society Exams from the College of Law in Chester. Saida completed her training as a Solicitor with a firm at Inner Temple London and was admitted in 1988. She has over 25 years experience working as a Solicitor with various firms in the West End and the City. Saida specialises in a wide variety of Private Client work, dealing with wills, tax planning, probate trusts and Court of Protection work. 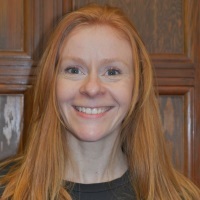 She is a full member of the Society of Trust and Estate Practitioners (STEP), the Association of Women Solicitors and a member of the Law Society. Saida is currently Head of Private Client department at Grower Freeman, a West End firm of Solicitors. Saida is a widow and has one son Azeez (Old Bancroftian, 1997-2008), who, having obtained a masters degree in Classics from Durham University, is currently training as a Chartered Accountant with Grant Thornton. Her interests include walking, swimming, gardening, visiting museums, operas, classical and Indian music. Ray Gooding has been an Essex County Councillor for ten years and is currently the Cabinet Member for Education and Lifelong Learning. Essex has nearly 600 schools across this large county and has a vision that all children should go to a good or outstanding school. The portfolio covers everything from Early Years and Pre-School Special Educational needs, all schooling from 5 to 19 and Lifelong Learning for vulnerable adults. Ray represents the Division of Stansted, which is an area largely made up of rural villages, commuter towns and, of course, an international airport. He feels that the varying needs of the community with this level of diversity are a constant challenge and that balancing the requirement for economic growth against the real need to ensure that the interests of the residents are not adversely affected is of paramount importance. By profession, Ray is an Engineer and has, for the last 25 years, been the Senior Partner of a firm of consulting engineers within the construction industry and, whilst it would appear that this has no connection with the needs of the County Council, the experience of running a small business has been an asset which is of great assistance when applied to the larger needs of the County Council. The experience which Ray has gained through his membership of the Chartered Institute of Building Services Engineers has enabled him to promote the linkage between young people and the construction industry where many worthwhile careers are open to all at graduate level or as technicians. Councillor Gooding is appointed Governor of Bancroft’s by Essex County Council and he chairs the Estates Committee for Bancroft’s School. 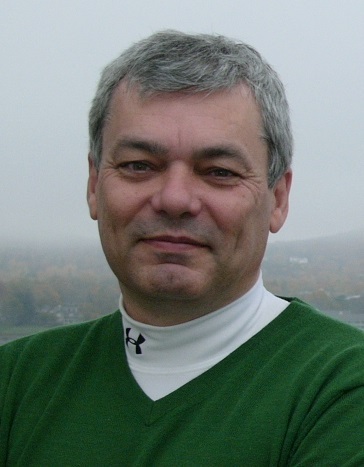 Michael Stark was born in Woodford Wells and has lived most of his life in the area. After studying at London University he started teaching and has spent all his working life in education working in schools in inner London, outer London and Essex. Recently he has taught Law and Business in colleges of further education. In 1993, he joined Redbridge Council. Besides representing the local Monkhams Ward, he has chaired the Borough Regulatory Committee and, more recently, has been Cabinet member for Children’s Services. 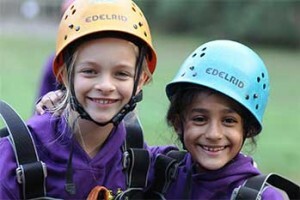 This involved the responsibility for all the Borough’s schools and all services founded for children in Redbridge. He is presently group spokesperson for planning issues and a member of the Conservative Shadow Cabinet. He enjoys the arts and theatre. Councillor Stark is appointed Governor of Bancroft’s by the London Borough of Redbridge and sits on the Estates and Education Committees for Bancroft’s School.